Dr. John Thomas Roshto is a native of the greater Baton Rouge area. 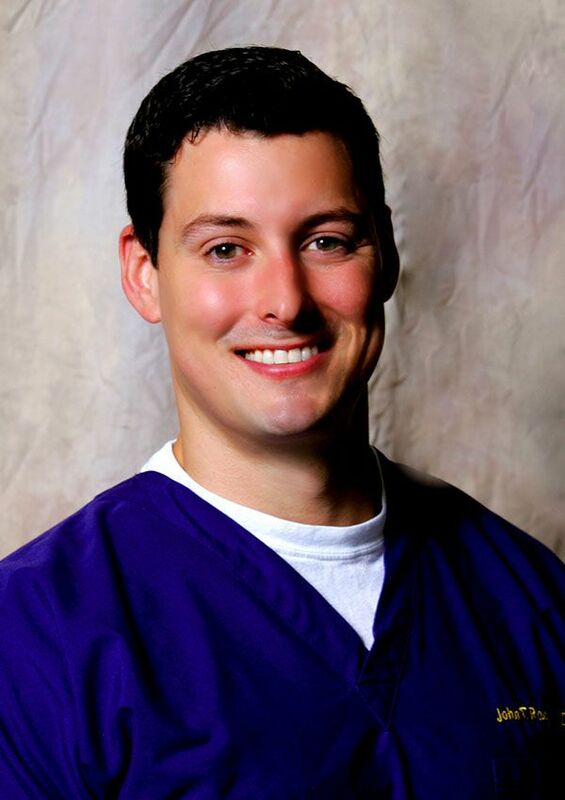 He attended LSU Baton Rouge where he graduated with a Bachelors of Science before moving on to LSU Health Science Center where he graduated as a Doctor of Dental Surgery. Dr. Roshto is also a Captain in the Louisiana National Guard and is part of an area medical support company tasked with ensuring the medical readiness of Louisiana's Guardsmen while providing medical relief for our communities in times of crisis. When not in our office, Dr. Roshto travels around Louisiana with Dr. Sally Daly providing much needed dental care to residents in nursing homes throughout the state. Dr. Roshto is an avid outdoorsman and LSU fan. In his spare time, he can usually be found cheering on the Tigers or in the field pursuing his next hunting or fishing adventure. He currently lives in Prairieville with his wife and their two dogs where he one day plans to start a family. Dr. Roshto is committed to excellence in dentistry and is the president-elect for the Greater Baton Rouge Dental Association. Dr. Roshto is an integral part of our treatment team and looks forward to providing optimum dental care to our family of patients.